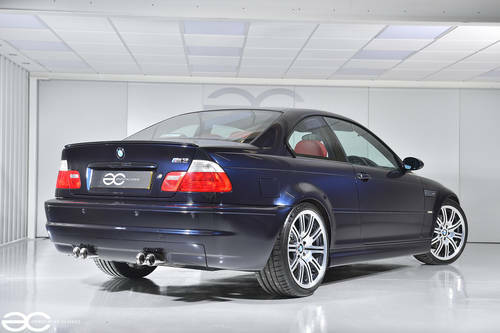 Here we are very proud to offer a stunning BMW E46 M3, in the fantastic colour combination of Carbon Black with Imola Red leather interior. 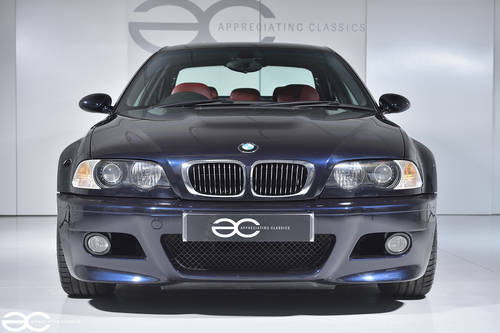 With E46 M3 prices rising steadily, the low mileage, well looked after examples represent, not only a great driving experience but potentially an investment which can be enjoyed. 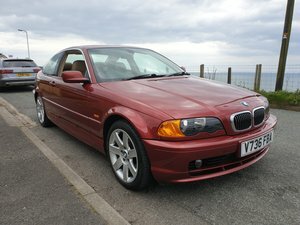 With only two previous owners, this car has benefited from long term enthusiast ownership, and has clearly led a ‘no expense spared’ life. 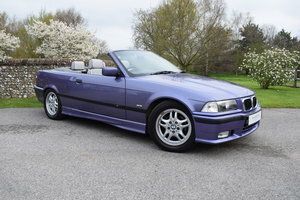 The original owner had the car from 2002 until 2005, the second owner, Mr A Walpole owned the car from 2005 until 2007, and then the car has been with the last owner for 10 years. The original booklets are present and are contained within the M leather wallet, along with the spare key, old MOT’s and various invoices for servicing, tyres, and miscellaneous parts over the years. 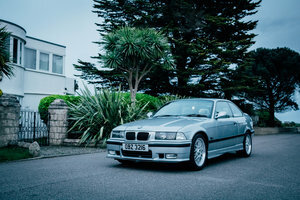 A very nice history file, to compliment a very nice example of a fast appreciating Modern Classic M series car. Finished in Carbon Black, this example looks fantastic, Complimented beautifully by the Imola Red leather interior. 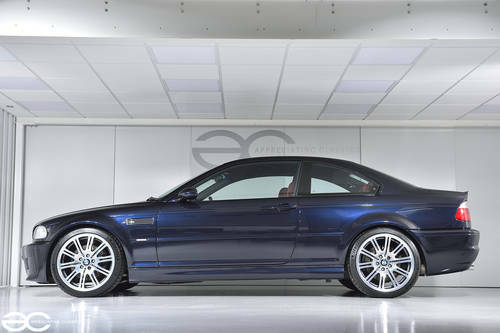 The high gloss shadow line pack helps give the car the aggressive look that a black E46 M3 really deserves, and the car is still retaining the original wheels which have not been refurbished. All panels are free from any damage, and none of the usual corrosion issues are present. All glass appears to be original, with correct BMW logo print. A very well presented example, which is becoming harder and harder to find. 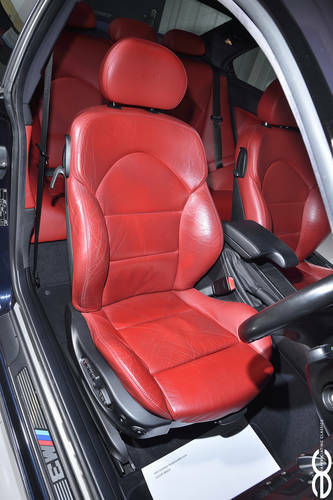 Imola Red Leather interior….need we say more! 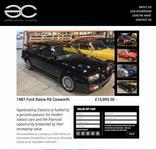 As you would expect from a low mileage example, the interior is in very good condition throughout. 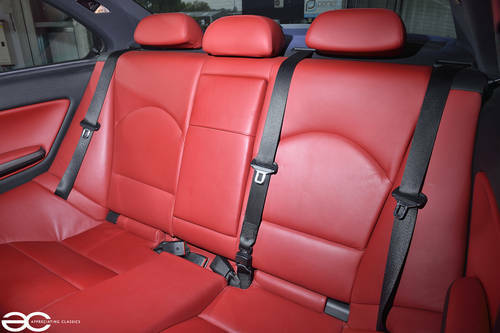 The rear seats and passenger seat look like they have had very little use indeed, with the drivers seats showing some signs of age, however, it still presents well, and is far from the usual badly worn drivers seats usually found in the E46 M3’s. We would say that the seat looks better in the flesh than in the pictures, due to the bright lighting used by the photographer. Everything is original inside the car, with the original Harman Kardon stereo/sound system still fitted. The only addition to the interior is a Parrot system (hands free telephone communication system). The steering wheel is again, in good order, along with pedal rubbers and handbrake handle. The gearknob has a mild amount of wear, but again this is indicative of the mileage. Overall a very nice interior, with no modifications, and everything working just as it should do. Turn the key, and the car starts with no hesitations at all, and importantly it runs quietly even when cold, none of the usual Vanos issues here thanks to the Vanos seals being replaced with the updated design and also a new Vanos filter (work carried out in 2016). 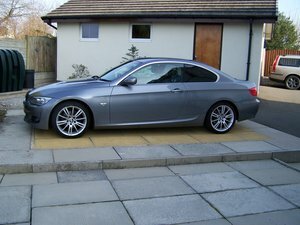 On the road, the car drives very well, and accelerates through the rev range exactly as it should do. 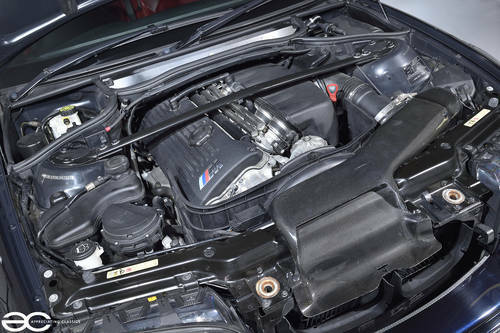 The addition of a Carbon Fibre Turner Motorsport intake, and the Miltek center silencer give the car just enough of a noise to let you know, you are indeed driving a true drivers car. No smoking at all, either on start up or whilst driving. 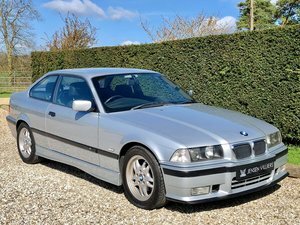 With regular servicing as detailed within this listing, it is clear that this car has benefited from enthusiast ownership, and has not wanted for anything during its life. As with the rest of the car, the running gear is in great order. With the addition of Eibach suspension springs, the car sits marginally lower and looks to have more ‘purpose’ when on the road. Eibach are well known for giving slightly more aggressive looks whilst maintaining factory like comfort, so rest assured the car is still a pleasure to drive. All tyres are brand new Michelin Pilot Sport 4S’s, a very highly rated tyre and show that this car has always had no expense spared. The wheels are original and are still in remarkably good condition when considering how badly these wheels do suffer on most E46 M3’s. The brakes are very effective, and pull the car to a straight stop with ease.